Wondering how a national electric contractor could help your business? Electricity runs our lives, and it runs our businesses. When you have an electrical problem at one of your locations, it can bring everything to a standstill. Lights can go out, electronics shut down, and your machinery will be non-operational. Whatever the problem, it’s essential that you deal with the issue as quickly as possible. Your customers need you, and your reputation relies upon you being ready to go when you’re needed. They are not interested in hearing that you had an electrical issue at your location. They expect you to be open or to have their goods or services delivered on time. How can you get prompt help so that you can quickly go back to serving the people who need you? This is where Retail Contracting Service comes in. We have the people who have the know-how to help. Whether you’re a local bakery shop or a chain of beauty supply stores, there are going to be times when one of your facilities is going to need electrical service or repair. In those moments, time is of the essence. We can help you with the electrical repairs that your facility or branch needs so that you can get back to servicing your customers. We help you so you can help your customers. Our nationwide database is chock full of specialists who can help you the minute you need help. There’s no need to go hunting for the right contractor when you can get everything you need with our incredible list of pros. And if you are satisfied with the work our contractors have done at your location in one of your cities, you can be sure that you’ll receive the same care and attention to detail in another city. Some retail service companies will tie you into long-term contracts, but we don’t. You can choose to work with us regularly, for a one-time situation, or on an as-needed basis. The only thing you should do is have our information on hand so that when a situation does arise, you’ll be able to have reliable help just a phone call away. You’d like to be sure your facilities’ electrical setups are always running smoothly. One of the services we offer is on-going maintenance. You can work with our teams of professionals to schedule regular maintenance. We can help ensure that everything is running as it should. This will help to avoid more costly repairs in the future, helping you to keep costs down. It’s time to discover how Retail Contracting Service will give your company and all of its locations the one-on-one dedicated help necessary to run smoothly. 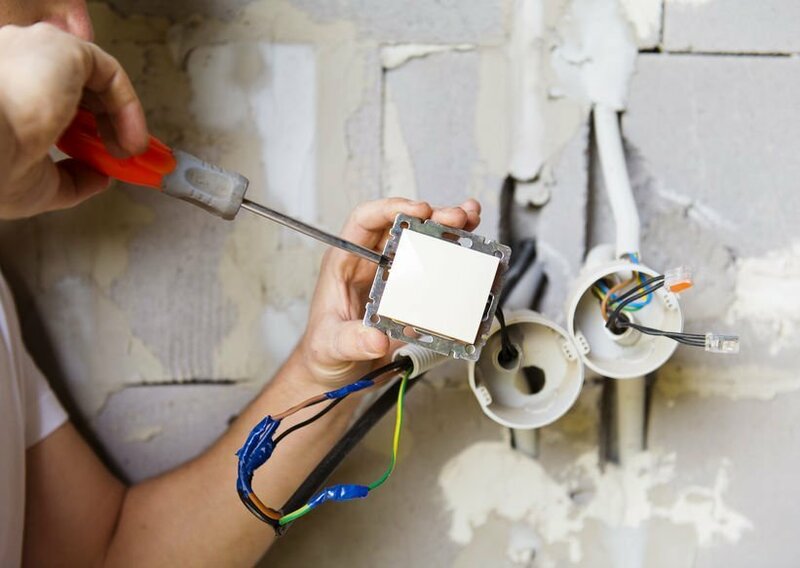 Connect with us online now to learn more about how our national electric contractor services can be a game-changer for your business. If you are an existing customer and need to request service, please choose the “request service” option above. RCS performs repairs in all trades of construction and facility maintenance for multi-location retailers, restaurant chains and other multi-location commercial facility owners nationwide. Copyright © 2019 Retail Contracting Service. All Rights Reserved.